Speciality grade, single origin coffee from the highlands of Tanzania. We are proud to present the very first (and only) specialty coffee shop in Mbeya and now also in Dar es Salaam, Tanzania! We take pride in our coffees and service and we aim to serve you quality single origin coffee, right at the source. 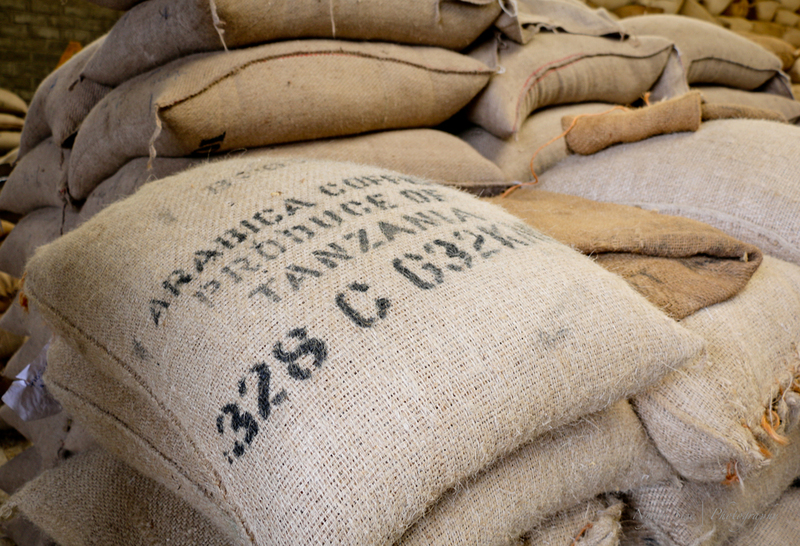 Our objective is to put the coffees of Tanzania on the map as the producer of specialty grade coffees. Our beans are locally sourced microlots and they are roasted right here in Mbeya. The beans are roasted according to a roast profile developed specifically for The Ridge. We went through over 30 different roasts and qualities to find the best one suitable for our cafes. Most of the coffee in Tanzania is grown and processed by small holders in the Southern Highlands and in the Arusha and Kilimanjaro regions. Coffee is an important cash crop for many families in rural Tanzania and it has contributed to improving the livelihood of the local communities and farming families. At Ridge, we see the value in supporting the local economy and we do this by serving coffee that is produced by our farmers. We only serve 100% Tanzanian Arabica beans. Our baristas are also highly trained and what sets them apart is they get to see the entire process, from crop to cup. We invest in our baristas by training them with world class techniques. They have been under apprenticeship and trained by a barista champion from South Africa. We hope to enter our baristas into the East Africa Barista Championships in the coming year so keep a look out! Lastly, you might wonder what our name is all about or if it even means anything. The inspiration for our name came from the Mbeya mountain range. You'll notice that when you get off the flight from Dar or enter Mbeya by road, the first thing you'll see is the sharp outline of the Mbeya ridge line against a clear blue sky. We think it's representative of our coffees here - it stands out, it's unique and it's a symbol of strength and beauty. We love our range and that goes for both the mountain and the coffees of this region. Learn where our coffee comes from! We buy in micro-lots from small holder farmers from the major coffee producing regions of Tanzania such as Mbeya, Mbozi, Mbinga, Kilimanjaro and Kigoma. At Ridge Cafe, we know how hard our farmers work to bring you quality coffee beans and we want to showcase each farmer's story. Our buying process is transparent and we are able to trace the beans we buy to each cooperative. Each time we get a new crop, we will showcase their stories here so watch this space! This is Simon with his wife and daughter. He lives in Wambilo, a sub-village of Utengule-Usongwe. With the help of his wife, he has been growing and selling coffee for the past seven years. Each year, he gets an average of two tons from his farm and he processes it at home. With each coffee harvest, he is able to afford necessities for his family and send his children to school (his elder children were at school at the time of this visit). We will be having a tasting session at The Ridge Cafe in Mbeya in April and we will be inviting Simon and his family as well so they can see the end product of their labour. In the meantime, come and enjoy his coffee at the cafe! Stay tuned for dates for the tasting session. 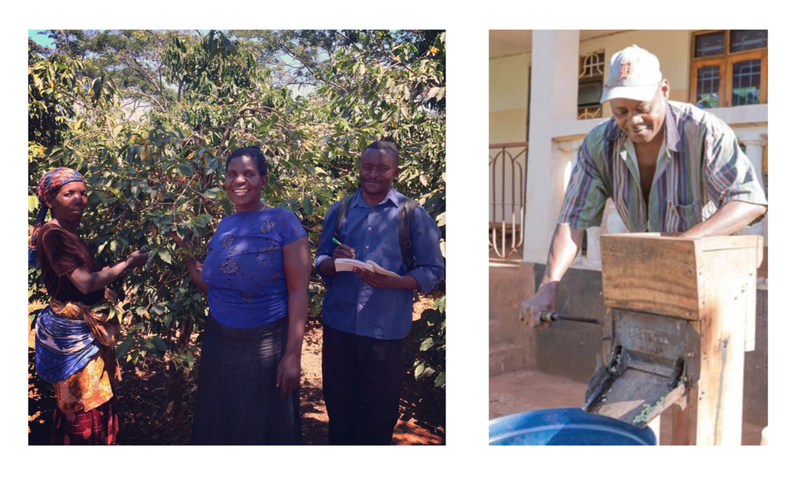 We are happy to announce that we have a new batch of coffees from the Kilimanjaro Region. This batch of coffee is from the Marangu East village in the district of Moshi Rural. This cooperative operated as an organic certified group and most of the farmers still produce their coffee through organic practices such as using natural manures and mulching to provide micro-nutrients and natural fertilizers. The coffee is a fully washed process that uses locally made hand pulping machines and dried on mats or drying tables. It is home processed coffee which is then transported to the local dry mill for hulling and grading. We have both dark and medium roasts available, each with its distinct flavor profile. Dark roast has a dark chocolate flavor with a nutty aroma. It has a creamy mouth feel with a bitter-sweet finish. Medium roast is bright and delicate with a sweet floral taste. The finish smooth and has a hint of orange-chocolate. Cocoa from Kyela with steamed milk and a dash of our secret ingredient! Our roast profile is developed in the lab by expert cuppers to get the best flavours out of the beans specific to this region.